Rihanna introduced us to her Fenty Beauty makeup line. 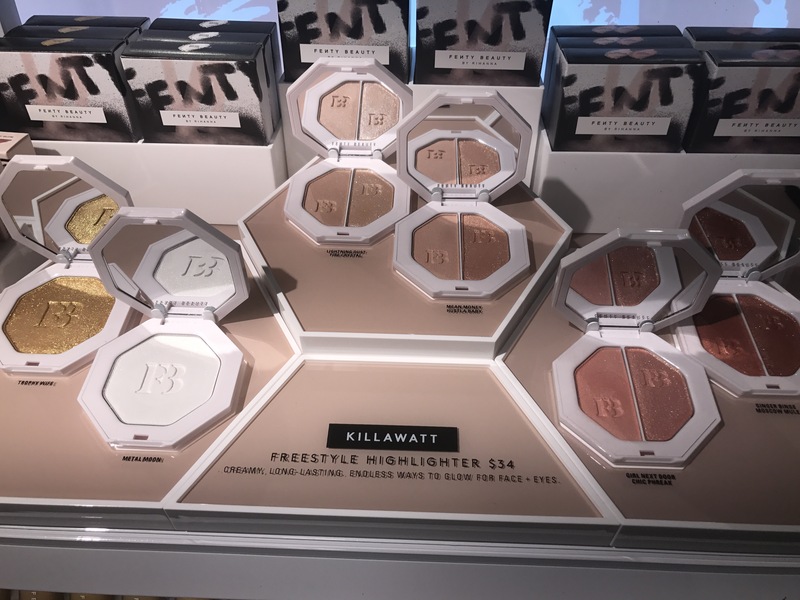 Fenty Beauty was created to fill voids in the beauty industry. 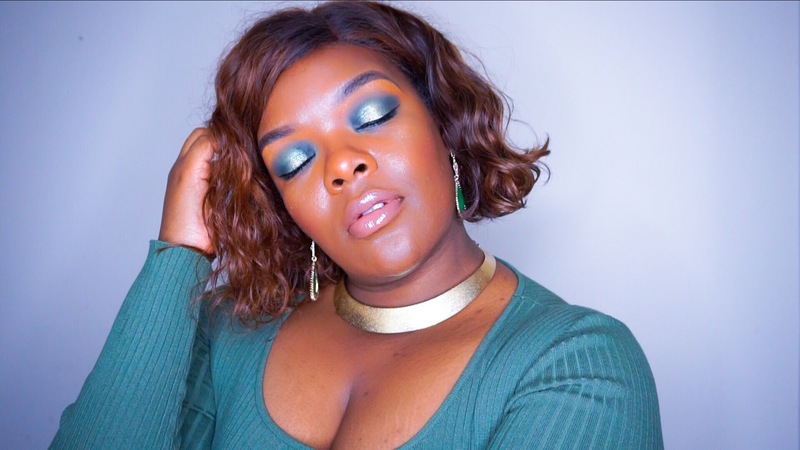 She wanted products that could work for all skin tones and make women feel like their best self. She created foundations that were buildable and look like skin. This line shows that beauty is universal and makeup is here for you to have fun with. So lets breakdown the products in the line and get a lot more in depth review on the ones I purchased. Pro Filt’R Soft Matte Foundation retails for $34 and are available in 40 (yes that is correct) beauty tones to make it easier to find your match. Yes to the diversity in shades right from the jump. This foundation is described as a soft matte longwear foundation. 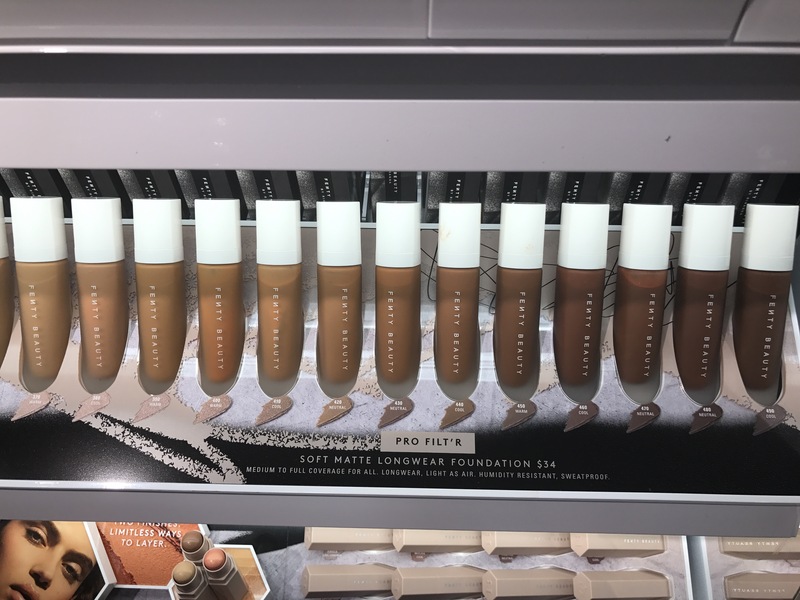 Fenty Beauty customers should expect medium to full coverage that is easily buildable. This foundation is said to be sweat and humidity proof, we will definitely be able to test that out in this NC weather. I will be heading in Sephora to pick up my shade and will test it out during my 12 hour shift at work to see how it holds up. Update: I ended picking up shade 430. It matched my skin perfectly, it’s described as a neutral dark shade. Never been neutral in any shade, but it looks perfect. I put the foundation on around 12:30pm and didn’t take it off until 7:20am. I only blotted my skin once around 2:00am. It settled nicely and created a nice second skin look. The coverage was medium but buildable. It also didn’t take much to cover up the small dark spots on my face. I used barely two pumps of foundation when I first applied it to my skin. After looking at myself, I realized that I prefer a full coverage look so I applied a second layer. With that second application, it created a perfect flat canvas for the rest of my makeup. I should note that I didn’t use my normal correctors because I wanted to see how the foundation would act on its on. Weightless, longwear cream-powder hybrid highlighters that range from subtle dayglow to insanely supercharged in solos and expertly paired duos. So all over Instagram people have been going crazy over swatches of these highlights. 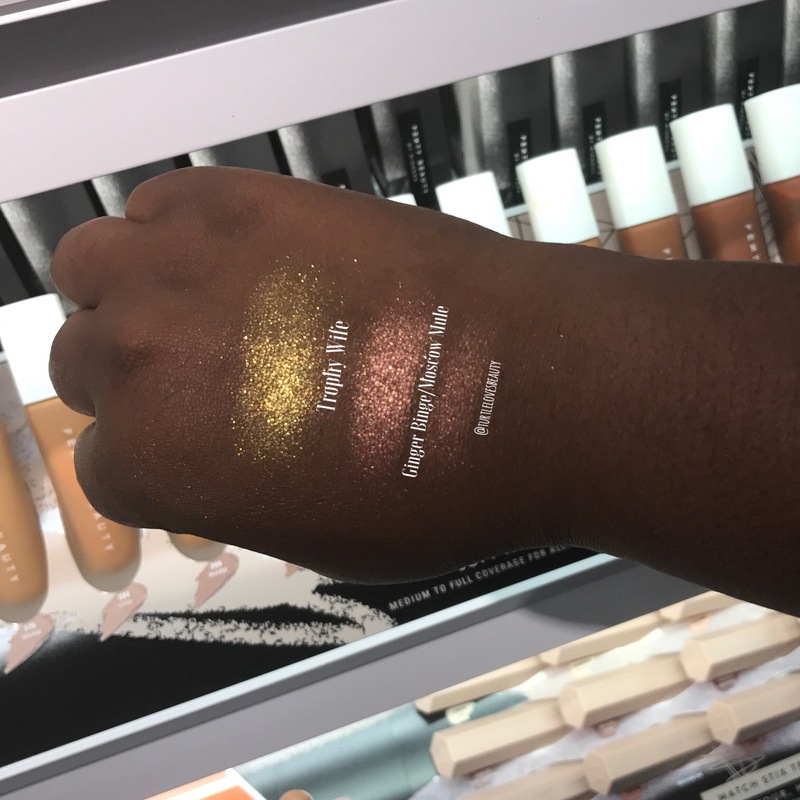 From Fentybeauty.com they are described as subtle dayglow to insanely supercharged glow. I can definitely attest that the highlighters are intense. When I first got it, I swatched a generous amount on my face and I looked like a disco ball. Luckily the second time I learned my lesson and applied it with a light hand. Doing that created a beautiful glow on my face, that made the intense glitter look subtle for almost everyday wear. If you are looking for something, that will look more natural the Ginger Binge/Moscow Mule will look great on darker skin tones. The duo creates a nice rose gold sheen on the skin. I can definitely see myself wearing this one on the daily. Now im, not a big gloss girl but this shade looks ridiculously gorgeous on people I have seen wearing it so far. So I finally gave in a picked up the gloss and was pleasantly surprised. It was super moisturizing on the lips and had the feel of a balm instead of the normal sticky glosses. I can not wait to see what other colors she comes out with in this gloss range. These sticks come in 20 matte colors and 10 shimmer shades. They retail for $25 each at Sephora or FentyBeauty. I picked up two of the matte shades, Latte to conceal and Espresso for contour. I also picked up the shimmer shade Rum. You can see the shades I picked up in action in my video review above. I find that the matte shades blend out so easily and melt into the skin. They are easy to use with the foundation and create a beautiful flawless face. When you wear them, you don’t even realize that its still on your face. One thing I can say about the line in entirety is that everything in this line works so well together. I love that the packaging is so simple but still chic enough to want to display on your vanity. My must haves are going to have to be the Foundation, the matte sticks and the highlighters. The foundation was chosen because it allows your skin to feel like skin, and gives you a medium coverage that is buildable. The price point on the foundation is also a definite plus for me, especially when I usually pay upwards of $45 or more for 1 fluid ounce of product. It works well on oily skin, and even though its matte it doesn’t feel dry on the skin. The skinsticks are nicely packaged cream concealers/shimmer products. They glided over my face and blended in easily with my Gemblender. I love that the shade range has colors deep enough to show up as a true contour on darker skin. It was refreshing to not have to worry about them creating a muddy looking appearance on my skin. I thought the highlights lived up to their kilowatt name. You definitely will shine bright like a diamond while wearing them. Trophy Wife is a great color to wear when you really want to show out. The Ginger Binge/Moscow Mule combo would work for an everyday type highlight at least for me. If I had to choose any one product out of the items I purchased to leave in the store, it would be the shimmer stick. Personally for me, its not something that I would use on a daily basis. I normally only wear powder shimmer products and not creams. Im not saying its a bad product, but its just money I could have used on something that I would get more use out of. 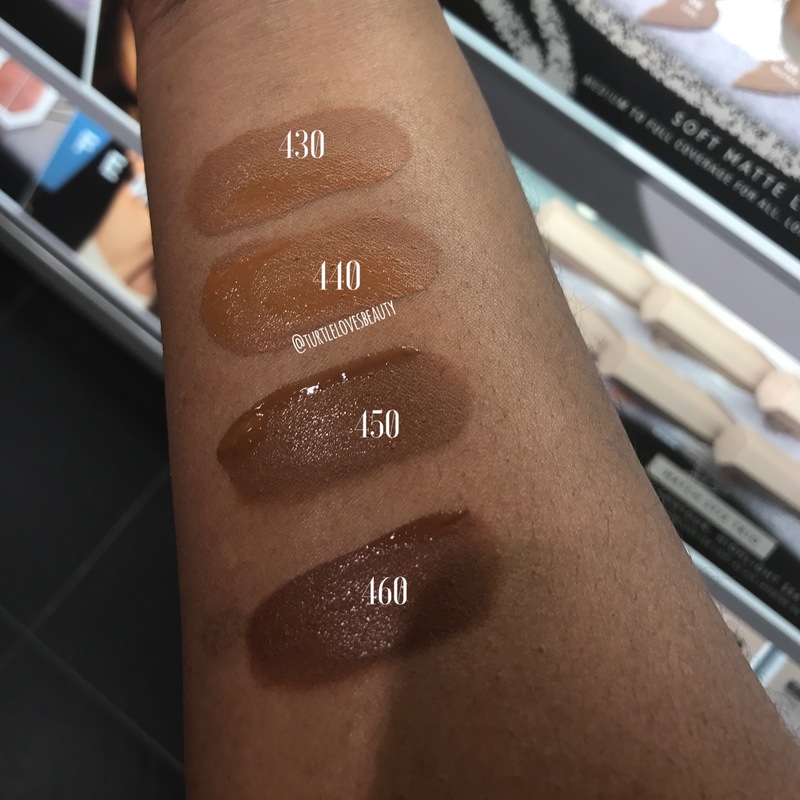 You need this line, shades are selling out as soon as they hit Sephora shevles. One thing I loved seeing are the reports of the darker shades selling out within minutes. 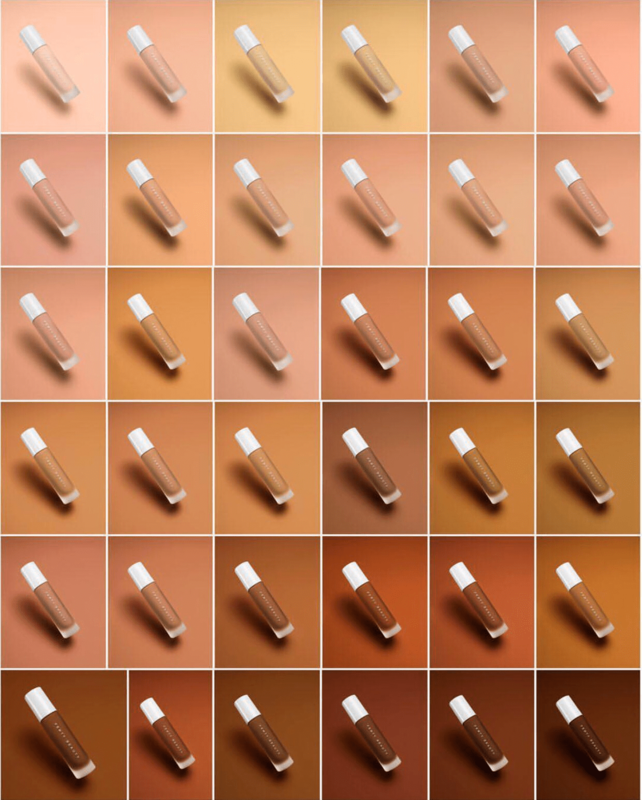 This shows that people of color love and enjoy makeup when its diverse in shade range. It was heart warming to see so many people that looked like me, actually excited about a makeup line release. They knew that they would find products that worked for them and left them feeling beautiful. So big thanks to Rihanna and her team on creating a line that is inclusive for the people of all spectrums. 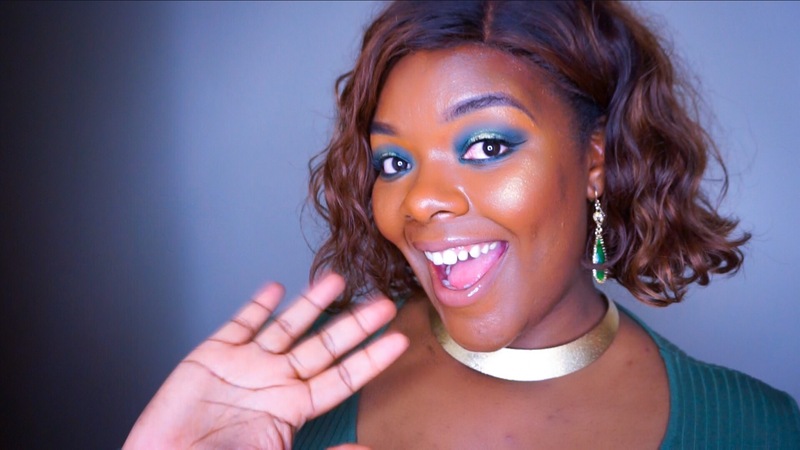 Make sure you subscribe for my blog on finding your shade in her foundation range!